We made a Bhutanese-inspired heirloom tomato salad with cottage cheese and the ezay I made in Singapore for Ugyen, our guide. It packs a punch, a delight in the windy summer Bhutan enjoys. This recipe is inspired by a simple Bhutanese cucumber salad that our guide prepared for us one evening. Appetizing fresh and bright, this salad is a brilliant way to begin a meal! The cheese here is a bold pairing to the lightness of the tomatoes, and goes equally well with cucumbers, so feel free to experiment! Our Bhutanese hosts showed us so much kind hospitality and gave us free reign of their kitchens. We exchanged simple kitchen tips, experimented with new foods, partook in traditional methods of cooking and gatherings. Glasses are clinked, plates are passed around, and memories made and kept. The honest beauty of food comes alive in these cookouts. And this is what I hope our recipes bring to you too! Combine all ingredients together, and feel free to add more ingredients if desired. This is a flexible recipe! 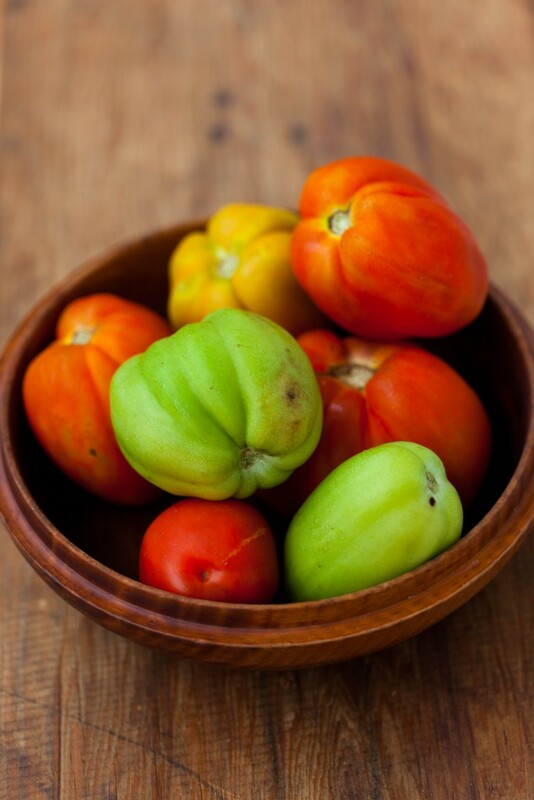 Heirloom tomatoes from Bhutan are the best! 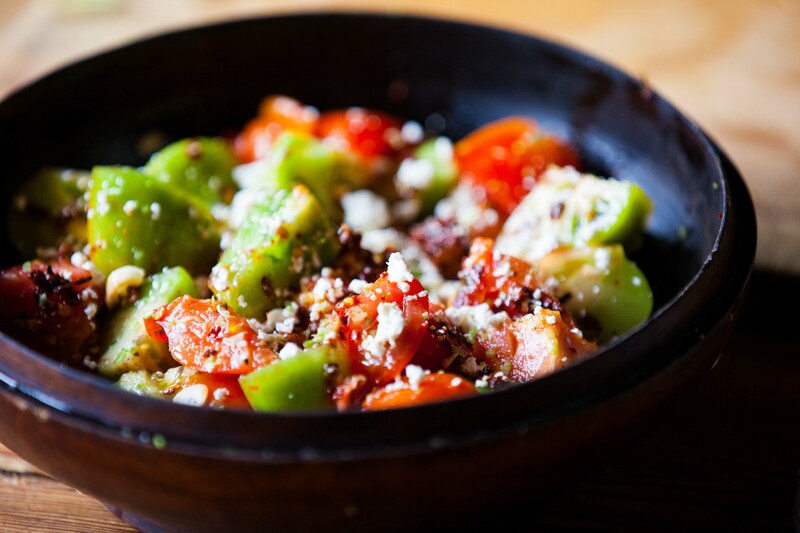 Use regular tomatoes if you can’t get heirloom ones and they’ll work well in this recipe too.